It’s as if your glass isn’t there at all! Meguiar’s Perfect Clarity Glass Cleaner delivers a clear, streak-free shine that you depend on for perfect visibility and maximum clean. 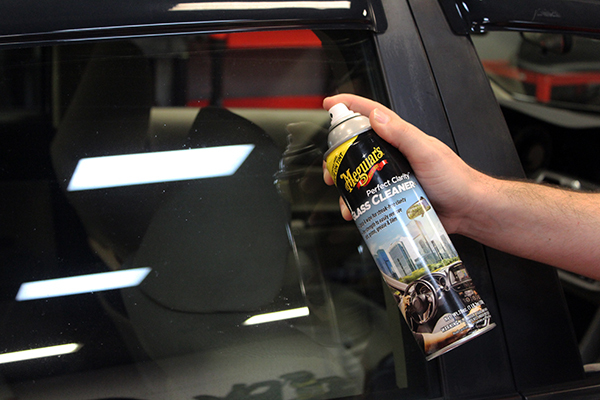 Meguiar’s unique, anti-hazing formula is safe to use on all tinted windows and spreads easily while quickly removing all dirt, grime, grease, and film from all windows and glass. Fog residue, road grime, smoker’s film, bird droppings, and bug splatter are no match for this strong, and safe, glass cleaner! Finally, a glass cleaner that is easy to use with the strength of a pro! Meguiar’s Perfect Clarity Glass Cleaner is the ultimate anti-hazing formula that provides a streak-free clean for even the toughest dirt and grime. This dependable cleaner is ammonia-free and safe to use on tint! It quickly removes bugs, tree sap, road grime, bird droppings, and more—with the swipe of your hand! Meguiar's Perfect Clarity Glass Cleaner is the easiest way to see clearly and drive safely! To apply, simply spray on cool glass and spread evenly with a microfiber towel. Then, flip the towel over and wipe away!